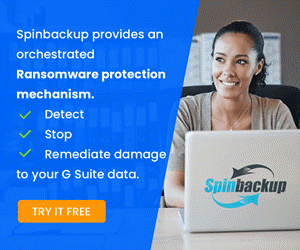 Microsoft has certainly made no bones about the fact that they are invested and committed to a new management tool called Windows Admin Center. 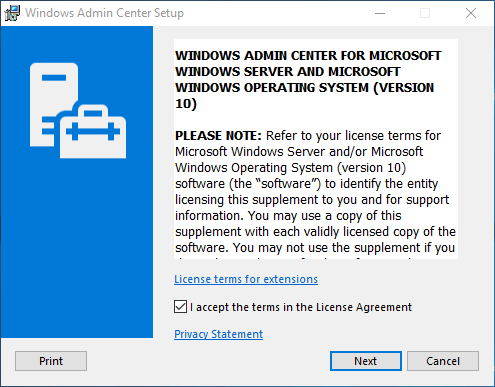 Most have no doubt already heard about the Windows Admin Center if you have not already downloaded and played around with it in a lab environment. With the release of Windows Server 2019 looming on the horizon, Microsoft is feverishly developing the Windows Admin Center management tool with new features and functionality across the board. There is just simply so much that Microsoft is wanting to put into the Windows Admin Center, there seems to be no end to enhancements that will be forthcoming. However, today Microsoft announced Windows Admin Center 1809 Released with Windows Server 2019 Features that provide graphical management to many of the platform features found in the new Windows Server OS. View Scripts – This version of the Admin center inludes a built in PowerShell script editor of sorts that allows seeing and copying underlying PowerShell scripts for actions in the modules along with syntax highlighting. 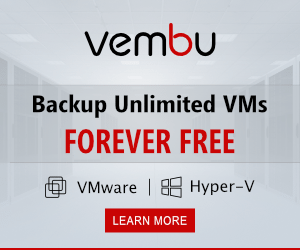 Hyper-V – This module contains many improvements including many bulk features such as getting VM and host settings, nested virtualization and hypervisor scheduler configuration. 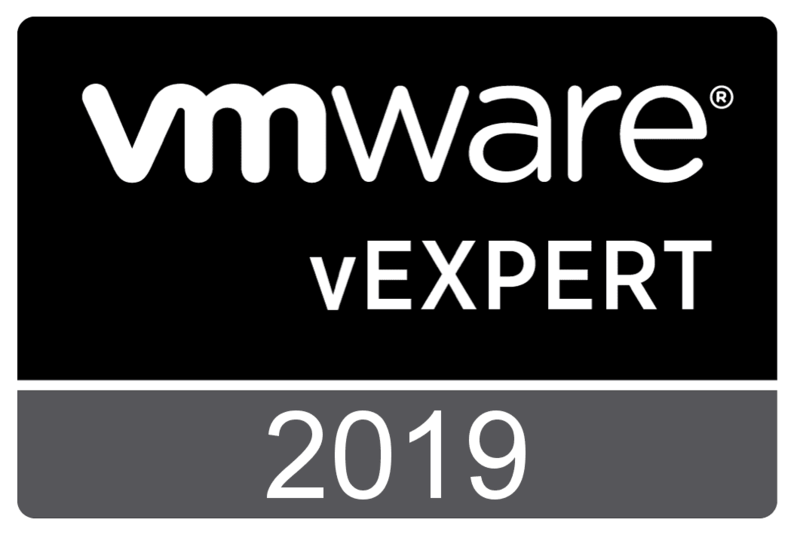 Additionally included is a VM Connect web console and other items. 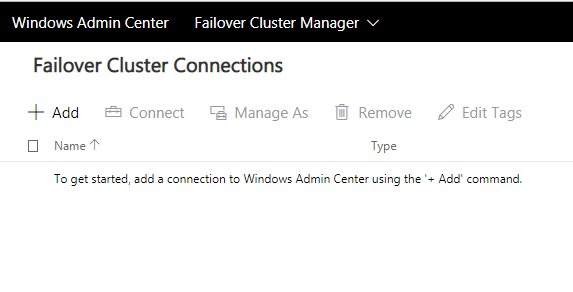 Failover Cluster – Cluster Aware updating has been added, add/remove cluster nodes, validating clusters, validation report UI. Hyper-V settings also allow you to make changes cross the cluster on all hosts. Tags – Editing and filtering improvements on groups and connection lists. Windows 2008 R2 limited functionality is now supported. Storage Migration Service – This is a service that allows migrating servers and their data without reconfiguring applications or users. 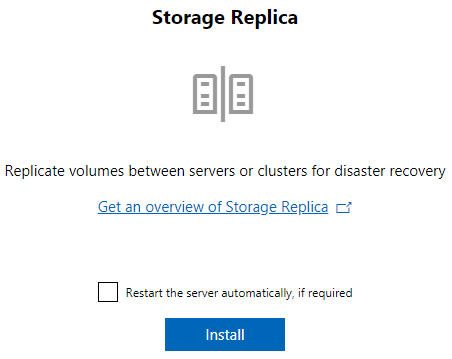 Storage Replica – A new feature that was introduced with Windows Server 2016 that allows replicating storage volumes. Windows Admin Center adds support for managing this feature via a new installable module. 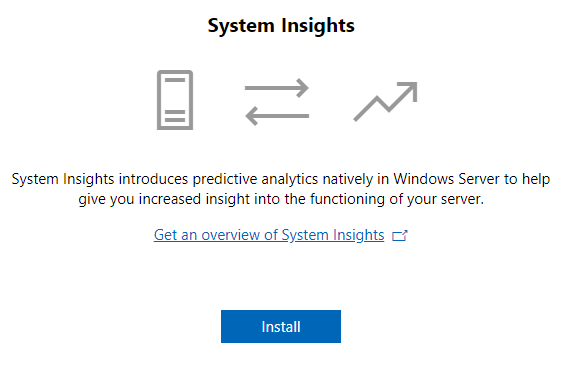 System Insights – This provides predictive analytics for Servers via the Windows Admin Center. The great thing I like about the Windows Admin Center is the ease of installation and configuration to use the new management platform. The installer is around 63 MB downloaded from Microsoft. The installation is a relatively simple “next, next, finish” process. The installation process sets up a local web server that allows connecting to and running the management interface. 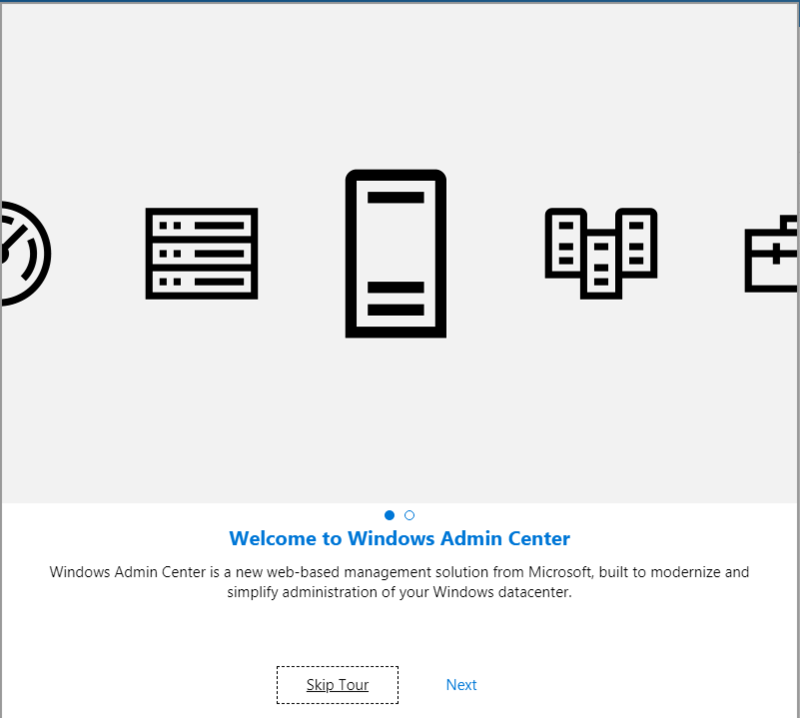 After installing the new Windows Admin Center, you will be greeted with the Welcome screen for tour of the new application. One of the things I really like as well is the modular nature of the Windows Admin Center. If you notice, most of the modules will prompt you for installation such as the System Insights module. Click install and the module is loaded. The new Storage Replica module as well will prompt you for installation. 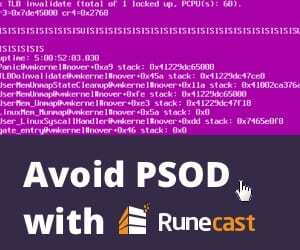 Additionally, the modules will prompt for a reboot if one is needed to load the module in Windows Admin Center. Microsoft continues to make improvements to the Cluster and Hyper-V Cluster functionality. Now, with this release, even more cluster controls are available such as Cluster-aware updating. Yet another version of Windows Admin Center has been released. With each new release there is always a wealth of new features and functionality to play around with. 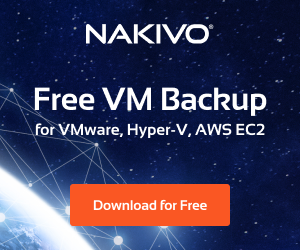 Microsoft is really developing this product at a blistering pace especially to get ready for Windows Server 2019. Be sure to download and checkout a copy of the Windows Admin Center. 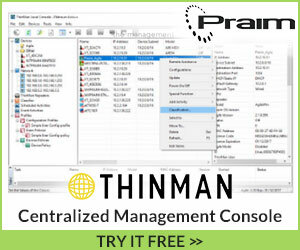 The writing on the wall for the now aging server manager is obvious and Microsoft’s way forward for Server manager is certainly the Windows Admin Center.